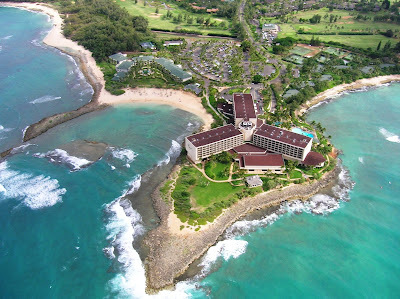 Turtle Bay Resort looks likely to be sold for $350M. A giant real estate investment firm and former owner of major Hawaii hotels has made a deal to buy Turtle Bay Resort. As part of a preservation deal, the state in 2010 paid $45 million for 53 acres fronting Kawela Bay plus an easement prohibiting development on 568 acres that includes land below and around Turtle Bay’s golf courses. Star-Advertiser. A New York-based real estate investment firm has struck a deal to buy the Turtle Bay Resort. According to a report by Real Estate Alert, investment firm Blackstone is paying $330 million for the hotel. Hawaii News Now. Hawaii’s unemployment rate is flirting with making state history. The seasonally adjusted number dipped to 2.5 percent in September and is now one-tenth of a percentage point away from its all-time low, according to U.S. Labor Department data that go back to 1976. Star-Advertiser. Hawaii’s seasonally adjusted unemployment rate dropped to 2.5 percent in September, from 3 percent during the same month a year ago, the state Department of Labor and Industrial Relations said Thursday. Pacific Business News. Hawaii has joined 11 other states and the District of Columbia to argue in federal appeals court that all states must be allowed to continue to impose their own customized restrictions on firearms. Star-Advertiser. Commentary: Doug Chin Sure Sounds Like He Might Run For Congress. The AG’s dominance of the headlines may be scaring off potential candidates for outgoing Rep. Colleen Hanabusa’s seat. Civil Beat. The highest-ranking Republican elected official in Hawaii plans to run for governor in 2018. Rep. Andria Tupola, the minority leader in the state House of Representatives, said she will make a formal announcement next month. Civil Beat. Can School Gardens Get Kids To Eat Their Vegetables? More than 80 percent of Hawaii schools have some kind of garden, part of a booming, nationwide farm-to-school movement. Civil Beat. More than 40 percent of Hawaii children have experienced trauma including the death, divorce or incarceration of a parent, and violence, drug abuse or mental illness in the home, a federal study shows. Star-Advertiser. How A UH Scientist Hopes To Improve Early Kidney Disease Detection. The research is particularly vital for Hawaii, where one in seven residents have chronic kidney disease. Civil Beat. Island Air lost the use of two of its five planes, cut its flights by more than 40 percent and placed some employees on reserve with reduced pay prior to filing for bankruptcy protection this week. Star-Advertiser. Hawaiian Airlines parent Hawaiian Holdings Inc. (Nasdaq: HA) posted a 27 percent decline in profit during the third quarter of 2017 compared to last year, while revenue increased 7.1 percent to $719.6 million, according to earnings released Thursday by the Honolulu-based company. Pacific Business News. Hawaiian Airlines achieved record revenue in the third quarter but saw its net income decline 27 percent after taking two charges totaling $50 million. Star-Advertiser. Hawaii will receive about $1.2 million as part of a $120 million nationwide settlement with General Motors over allegations the Detroit-based carmaker hid safety issues related to faulty ignition switches in its vehicles. Pacific Business News. A federal grand jury tasked with deciding whether criminal charges should be brought against retired Honolulu Police Chief Louis Kealoha, wife and Deputy City Prosecutor Katherine Kealoha and other HPD officers, wound up two years of hearings Thursday, with U.S. attorneys mum about whether any indictments will be handed down. Star-Advertiser. No Criminal Indictment Yet In Federal Police Corruption Probe. An attorney for the former Honolulu police chief and his prosecutor wife say the couple are prepared to be arrested by the FBI. Civil Beat. After two years, the federal grand jury investigating public corruption in the Honolulu Police Department has finally wrapped up. Hawaii News Now. Thursday is the last day for a federal grand jury that has been meeting for two years on a public corruption probe. KITV. In its most recent report, the federal contractor overseeing Honolulu rail says it is “not confident” the project’s total construction price tag will remain at $8.2 billion.Star-Advertiser. Ilikai Hotel workers belonging to Unite Here Local 5 walked off the job Thursday to protest high workloads, low wages and stagnant contract negotiations. Star-Advertiser. Hotel workers at odds with management are picketing in front of the Ilikai Hotel and Luxury Suites in Waikiki. The workers walked off the job Thursday morning. KITV. Monster homes are gobbling up communities — and it's all legal. Hawaii News Now. Some streets in Waipahu may be getting a makeover as part of the city's effort to make them safer. Hawaii News Now. The University of Hawaii notified students today that it has confirmed three cases of mumps on its Manoa campus. Star-Advertiser. Hawaii's mumps outbreak hits 500 cases; 3 reported at UH. Hawaii News Now. Students who only had 15 minutes to eat lunch are being given a little more time to eat. But parents say it’s still not enough. KHON2. Animal advocates are moving out more than 90 dogs from an entrenched homeless camp under the airport viaduct that's set to swept next week. Hawaii News Now. Honolulu startup accelerator Elemental Excelerator has selected 12 startups to participate in next year’s cohort. Pacific Business News. Reef Capital Ventures has received a $275,000 grant from the U.S. Department of Commerce, through its Economic Development Administration’s Regional Innovation Strategies program. Pacific Business News. It’s back to the drawing board in the search for a mass transit administrator, after Mayor Harry Kim decided the advertised salary isn’t high enough to attract the best candidates. West Hawaii Today. Hawaii County is keeping its options open as it looks for new office space in Hilo. In addition to negotiating a lease for the former Safeway space at Prince Kuhio Plaza, the county also is seeing if it’s feasible to buy a building at 1055 Kinoole St., where the Office of Aging rents space. Tribune-Herald. The state Department of Transportation will extend four lanes on Highway 130 to Shower Drive over the next month as it restripes a 2-mile stretch of pavement. Tribune-Herald. Hawaii County officials hope to heighten security with surveillance cameras at baseyards around the island in light of continued thefts. West Hawaii Today. The Honomu Park banyan tree that fell Sunday will cost the county tens of thousands of dollars, Hawaii County’s managing director said. Tribune-Herald. The Hawaii County Council adopted a resolution Wednesday urging a peaceful solution to the conflict with North Korea. Tribune-Herald. Beginning Monday, November 13, home delivery to Maui News subscribers will be via the United States Postal Service. Maui News. Kula woman is working to help mother on Puerto Rico. Maui group collecting goods and donations to send to people trapped on island. Maui News. Water can be a contentious subject, especially in East Maui, where streams have long been diverted for sugar. Now, a battle to restore these streams is coming to an end. Hawaii Public Radio. A 36-year-old Lihue man has been sentenced to a year in jail for attacking an endangered sea turtle on Kauai. Star-Advertiser. Lance Kaaumoana, 36, was sentenced this week to serve one year in jail for attacking an endangered Pacific green sea turtle in April. Garden Island. The initial investigation into the deaths of five pilot whales at Kalapaki Beach last Friday showed “no obvious cause of death.” Garden Island. Wildlife officials are still unsure what caused seven pilot whales to beach themselves along a Kauai beach. Associated Press. Preliminary necropsies for five whales that died in a mass stranding on Kauai last week showed "no obvious cause of death" for the animals. Hawaii News Now. The Kauai Police Department’s Fugitive Apprehension Strike Team along with members of the state of Hawaii Sheriff Division conducted a special mission of the Kapaa area on Wednesday, which led to multiple arrests. Garden Island. Kamalani Kai Playbridge will get sprucing up and a new name. Garden Island.